Most of you who know me personally also know that I will gladly be late for the Second Coming – and assuming I get called to the good side – if there is a game of football to be played. That is so taken for granted! In college, when I was at the sixth floor of the St. Joseph’s Building, I would bolt out the door at the first sound of the 12:00 noon bell and scamper down the stairs two or three steps at a time just so I could be on time for the regular lunch break training. Even as a teacher coaching the high school football team in the eighties, I would fidget through late afternoon faculty meetings, preferring instead to be out with the boys. But there was this one particular weekend of football when, kanta ngâ ni Frank Sinatra, I bit much more than I could chew. Kasi naman, regrettably, the semi-finals and finals of the NCAA were scheduled to be played at the end of final exams week. It was my last year in college, and naturally I wanted to end my NC-days with a winner’s medal. 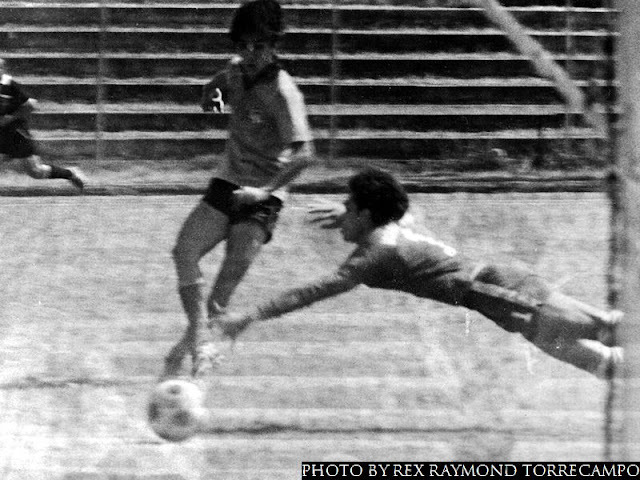 However, I had also wanted to experience football at a higher level and tried out – and was taken in – by San Agustin FC to play Division I football. 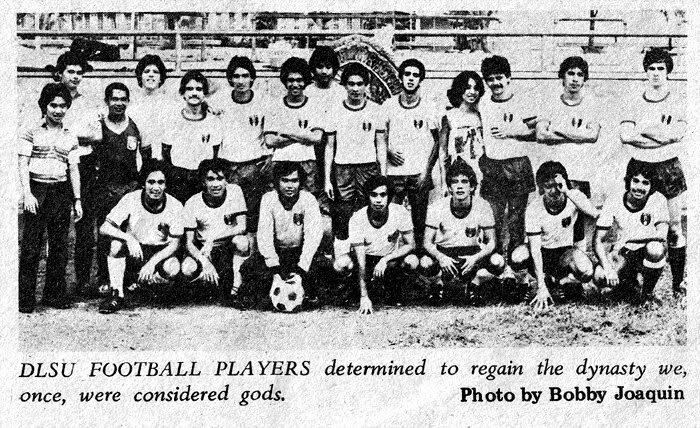 A year earlier, I was already being asked to join a mid-table club called Magnolia FC, then the “farm” team of perennial league champion San Miguel Corporation FC. However, Magnolia’s training, God forbid, was at six in the morning at the football field of Xavier School. That would have meant – for me – waking up at 4:30 in the morning and a 30-minute ride out to the training site. To this day, I have never liked waking up earlier than the roosters; the appeal of playing even for the farm team of one of the big sides was, therefore, limited. Then, along came this opportunity to play for San Agustin. 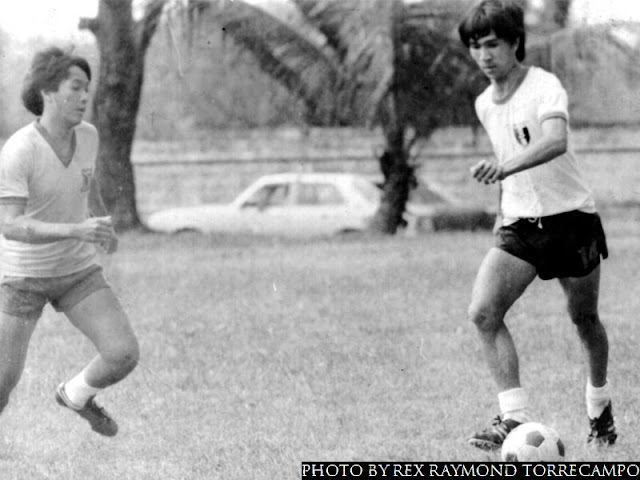 The pay was not as good – although pandagdag-baon din – but at least the club had the good sense to train in the late afternoons. There was also the added bonus of a few of my college teammates playing for the club, so I could always hitch a ride each time to the training ground. We were a young team; and except for a few seasoned campaigners in two or three of the positions, everyone was in college. Still, we were never really overrun by any of our more esteemed opponents; and it was always an honor to line up against the likes of San Miguel and the Armed Forces teams. But this weekend of the NC semis and finals… Our San Agustin coach warned those of us playing for my college team against playing in the NC, since we had a Sunday afternoon Division I match to play. Any coach will tell you that he was simply doing his job. Every player that turns up for a football match needs to be fresh as the mountain dew to be able to play 90 minutes at the required level of performance. We all dutifully told our club coach we wouldn’t be playing. And, of course, we suited up for the NC game, nonetheless… Just to point out to any young readers who are also into sport never to lie to your coaches, our club coach naturally went to the venue of our NC semis to get proof of his hunch that we were all lying! And didn’t I say that this was the weekend after the final exams week? So, alright! Some of us would get together for a kick-around when we had some free time. But training without the rest of the team – and particularly without the coach – was never going to be the ideal preparation for a big weekend of college football! Whatever stamina we built up training by ourselves, we naturally expended – little that it was – in trying to get to the finals. This simply meant that, in the finals, we were a pale shadow of the team that played the day before. Yeah, yeah… This is just my way of saying we lost and finished runners-up! There was still the afternoon Division I game to think about. Honestly, after two games in one weekend without the benefit of full training, who needed a third? By halftime, and never mind that I was getting the dagger-look from the coach, I just had to be honest and say that I had nothing left in the way of reserve gas. The tank was empty, period! That was not the end of the misery. Come nighttime, and me needing every minute of sleep that my aching body craved for, I laid still in bed with my eyes shut but with my mind fully awake. In fact, I slept for just about an hour the entire night. Later – I think I was already coaching – I belatedly read the contents of the energy drink I took which was there plainly printed on the bottle. It’s most potent ingredient? Caffeine!